Montana has provided the setting for some of my favorite stories. In the late 1980s I wrote Tender Trap and Aftermath featuring Denver and Colton McLean—two brothers returning to their family ranch after years away, confronting the secrets left behind. 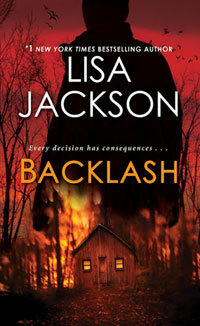 I’m thrilled that they’re now available in one volume, with a striking new cover and title, Backlash . . . The ranch country of Montana is beautiful, unforgiving, and for Colton and Denver McLean, filled with a whole lot of bad memories. It’s been seven years since a fire claimed their parents’ lives and drove both brothers away. Now their uncle’s death has brought them back to a place where loyalty and love runs deep—but so do grudges. Suspicion still swirls about what caused that tragic fire. It created a rift between Denver and the foreman’s daughter, Tessa Kramer. Now Tessa hopes to buy the ranch, if Denver and Colton will agree to sell, but the property is beset by problems. A prized stallion disappears. Other horses start falling sick. Someone seems determined to disrupt—or destroy—the McLean family’s legacy by any means necessary. And finding answers will turn this homecoming into a time of reckoning with enemies past and present . . . I hope you enjoy coming back to Montana with me!